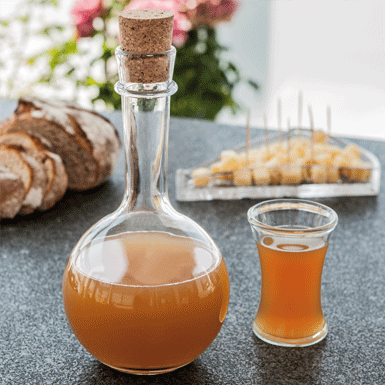 a slice of bread with cheese and a glass of tasty apple juice. We propose to combine this bottle (cork included!) with our VM tumblers. mouth-blown into the mould. Inflated rim.